Teaser Tuesday and Winner Announcement! Today I have a second Teaser from Loving Hallie (Vegas Mates Series). 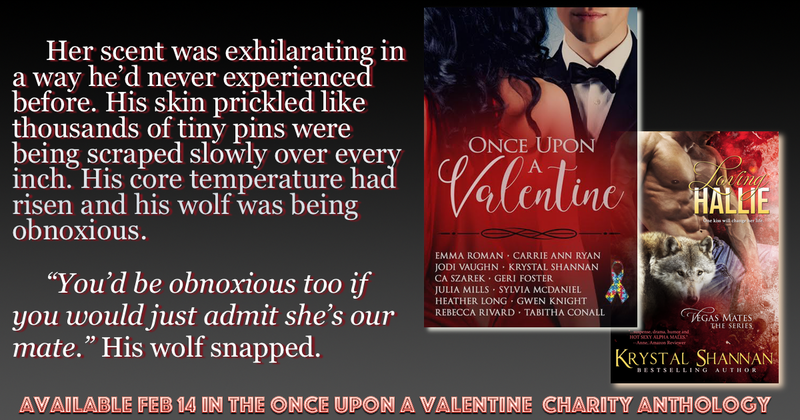 Loving Hallie is contained within Once Upon a Valentine Charity Anthology! Once Upon A Valentine – Charity Anthology – 100% earned royalties goes to support the Autism Society of America! Thank you for the amazing contest!